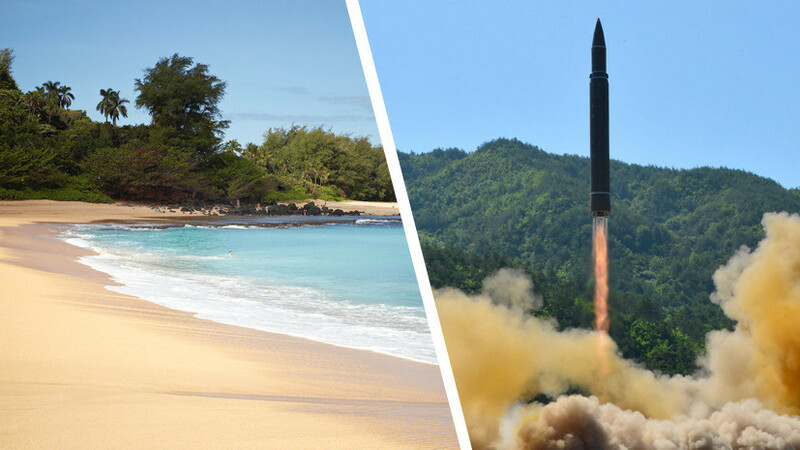 In Hawaii, an emergency agency employee “pressed the wrong button”, informing the residents of this US state about a missile attack. The panic lasted 38 minutes – it was exactly so long before the official denial. Malfunctions in the operation of warning systems have happened before. However, experts now point out the high level of fear of a nuclear war between the United States and the DPRK, as well as the obvious problems with the “protection from a fool” of US missile defense. Residents of Hawaii “are experiencing a real shock” after the official announcement of a missile attack, which, fortunately, turned out to be false. The fear, which survived for 38 minutes (before the rebuttal) residents and guests of this state (and which obviously did not disappear after the governor’s apology) on Sunday the Western media tell. The panic began on Sunday night, Moscow time, after a mass mailing to mobile devices of the message: “The threat of a ballistic attack in the Hawaiian Islands! Immediately seek shelter! This is not a drill! “(Let’s remind that in December the island state held the same exercises related to the” North Korean threat “). The notification of an airborne alarm was also heard on the radio. Caught off guard, people tried to find shelter. Athlete Lucia Leonard told the BBC that the children were hiding in the pipes of storm sewage. Another eyewitness told me that his family was trying to find salvation in the bath. 47 people were hiding in the back room, where garbage containers are usually stored, recalls the student of the Pacific University of Hawaii Hassan Dean. “My daughter Chloe stayed in England, and the first thing I thought about was that I did not have time to say goodbye to her,” British tourist Emma Hain shares her impressions. Hawaii was waiting for a missile strike in a record time. The message that the alarm was false came only after 38 minutes. “The error occurred during the normal procedure of changing, the employee pressed the wrong button,” – “reassured” Governor of the State of Hawaii David Aidzh. However, there is obviously no need to talk about simplification, given the constant informational neurosis surrounding the DPRK nuclear program.